Do you have an entrepreneurial spirit and the ability to make sound decisions? Do you possess the maturity, focus and personality we seek? Are you unemployed, underemployed, a Military Veteran or having trouble finding rewarding work? Have you finally realized that only your hard work with your own business will make you a financial success? Want to be in the company of successful owners who come from such diverse backgrounds as automotive engineering, computer science, auto body repair, store management, sales business development and former business owners? Want to make money the first day you start like most of our owners experience? The opportunity we offer is unique. You can be a business owner, determine your potential and the great thing about it is that we will be with you every step of the way. We help you to set up accounts and make sales the very first day you start your business. Our company is in an embryonic segment of the automobile restoration marketplace. We are on our way to changing that by partnering with quality people like yourself. We are already head and shoulders above any of the little competition we have and are determined to stay there with top notch service, top notch people, a proven sales process and a proprietary product formulation. WE ARE NOT YOUR FATHER’S FRANCHISE OPPORTUNITY! 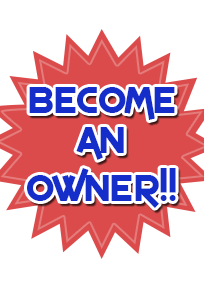 This is franchise business opportunity/dealership that gives you freedom to operate in a protected territory. When people hear “franchise” they usually think $$$$big expenditures$$$, renting or building a store front, burdensome franchise royalties and onerous percentages you’re required to pay monthly or quarterly regardless of how your sales have been, whether or not you make a profit. Our franchise is none of those things and is so affordable, you will be amazed at your quick return on investment. IF YOU CAN AFFORD A COMPACT CAR, YOU CAN AFFORD THIS BUSINESS! If you possess some mechanical aptitudes, some artistic talents and a work ethic, then you should forward you resume or CV to us for a review. Don’t forget that a person with a knack for talking with people is critical… not necessarily a “sales” background but a person who is not apprehensive about introducing themselves and telling our story to a prospective client.